"The PCI DSS: Get Compliant. Stay Compliant." 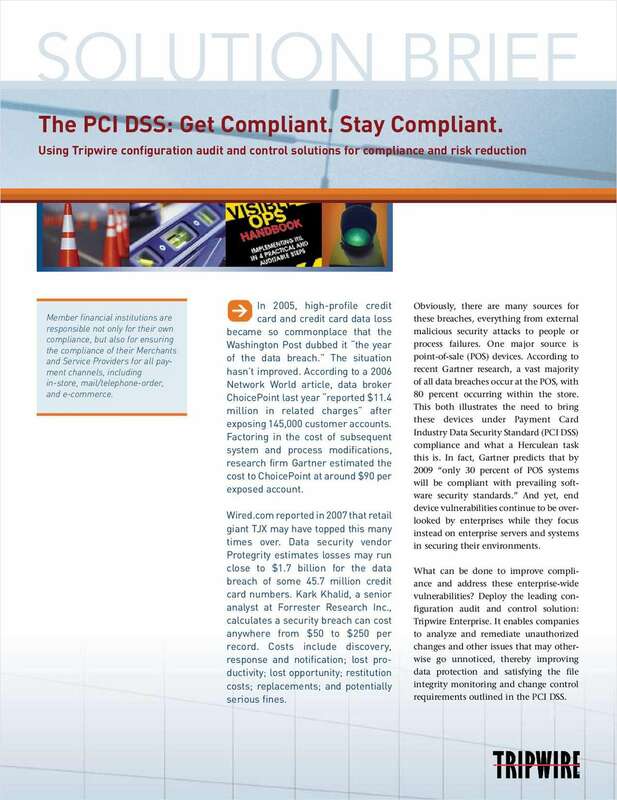 Free Solution Brief: "The PCI DSS: Get Compliant. Stay Compliant." Learn more about the leading configuration audit and control solution, enabling companies to improve data protection. By submitting this content request, I have legitimate interest in the content and agree that Tripwire, Inc., their partners, and the creators of any other content I have selected may contact me regarding news, products, and services that may be of interest to me.